A show not to be missed! 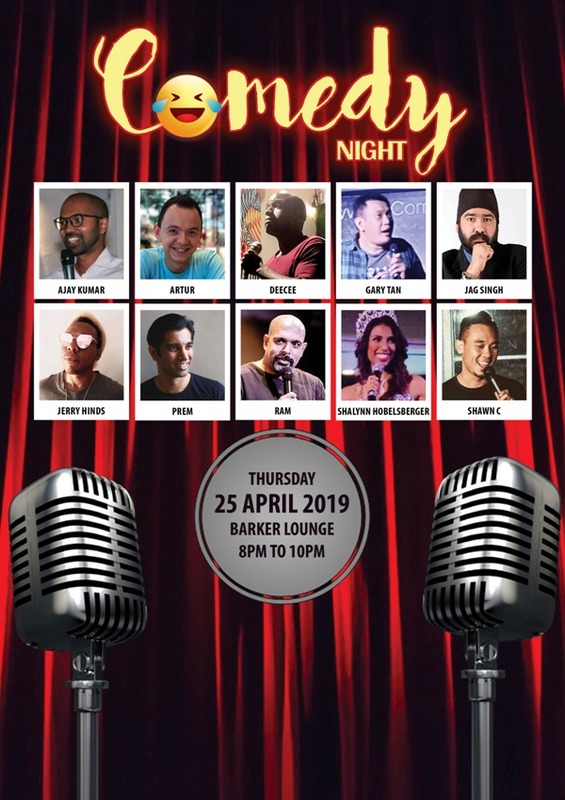 For the first time, Barker Lounge presents 10 Singapore-based comics. It will be an evening of laughter and good cheer. Seating is on a first-come-first-served basis, so come early and enjoy our Happy Hour promotions.